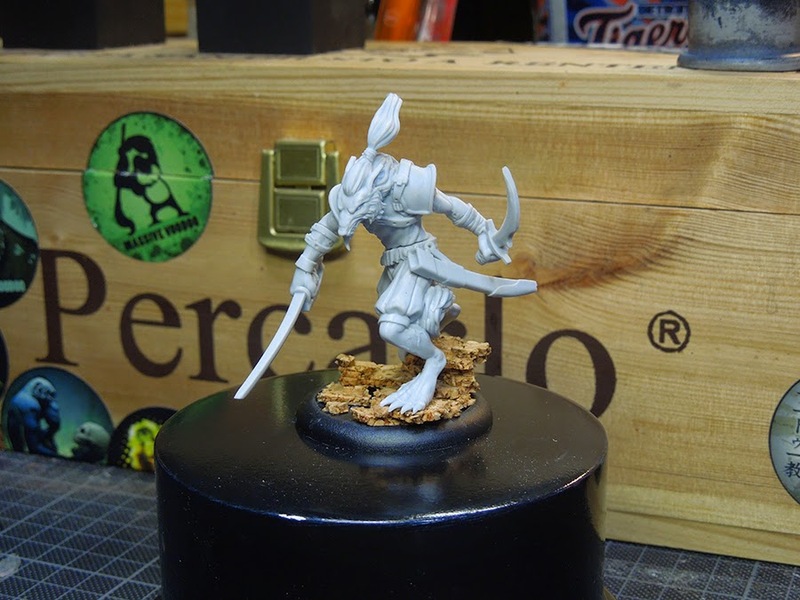 instead of an early Tutorial Voting we deliver you a Miniatures Unpacked today. You will find the Tutorial Voting later on this evening, don't you worry. "High fantasy skirmish gaming in the icy land of Isbran. 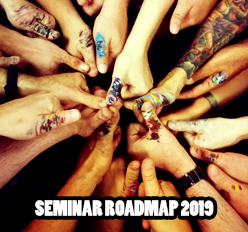 Build and equip a band of warriors. Fight, level up, and conquer!" If you like really cool looking Barbarians, powerful Wulfen models and evil, dark Warriors in 32 you are in the right corner with this game. 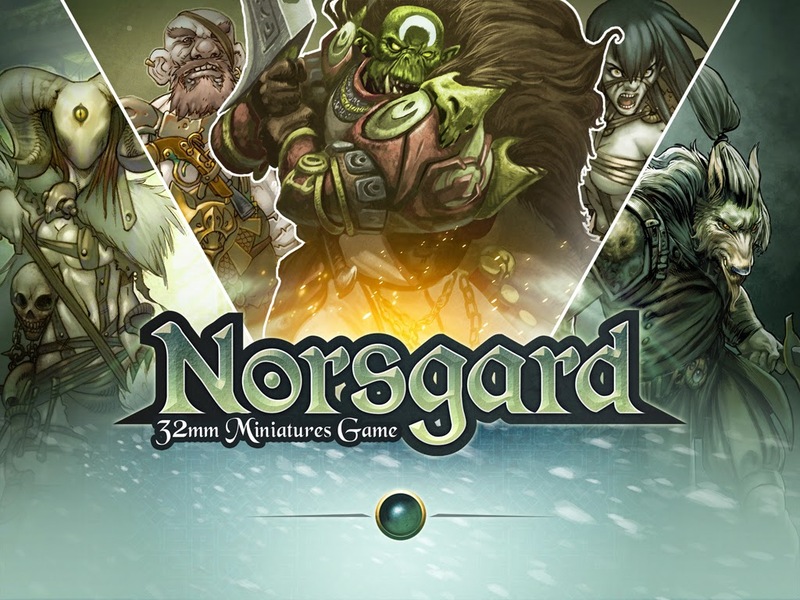 Norsgard Miniature Game - Kickstarter -10 days left! Well, let's have a look on the miniature Massive Voodoo recieved for reviewing. 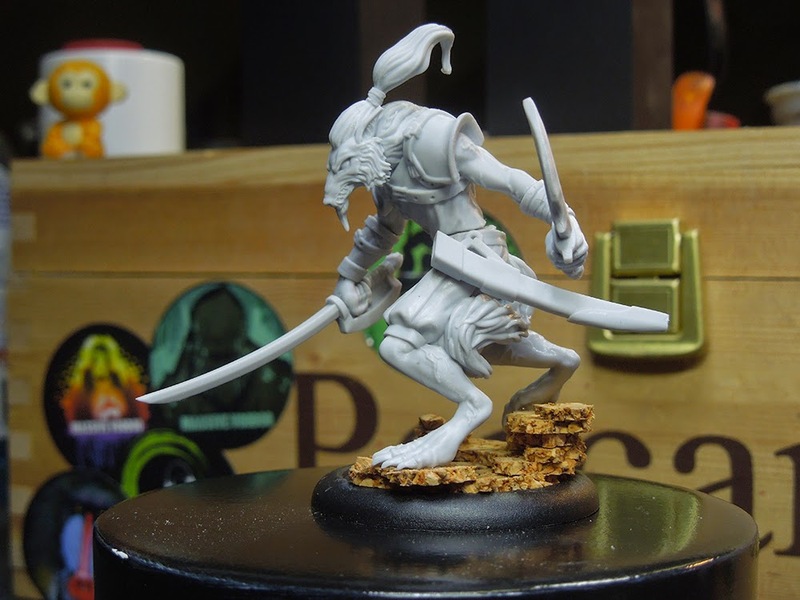 It is one of the unlocked Stretch goal miniatures, called the Wulfkin - Armsmaster. The model arrives in 8 parts made out of Resin. 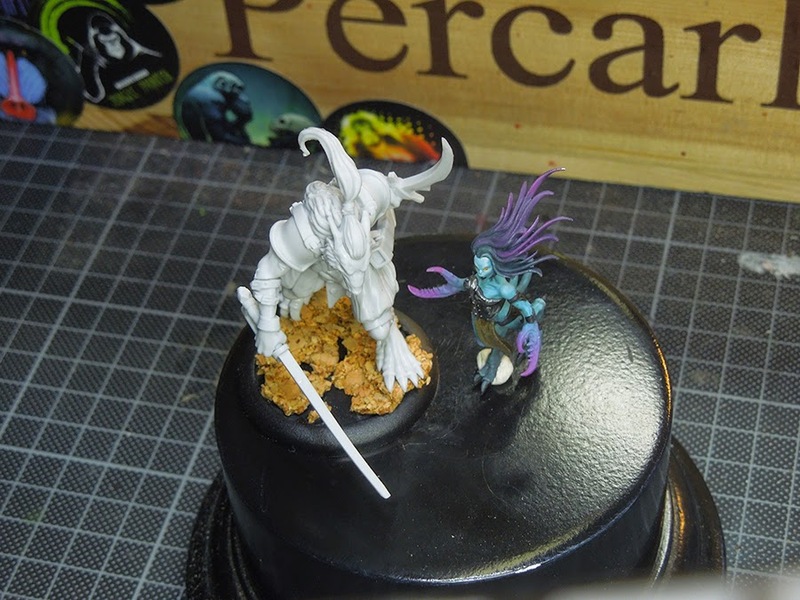 The smaller models in the game will be produced in white metal but for the larger models the producers decided to go with resin to reduce their weight for gaming and painting. Straight on, the head takes attention. 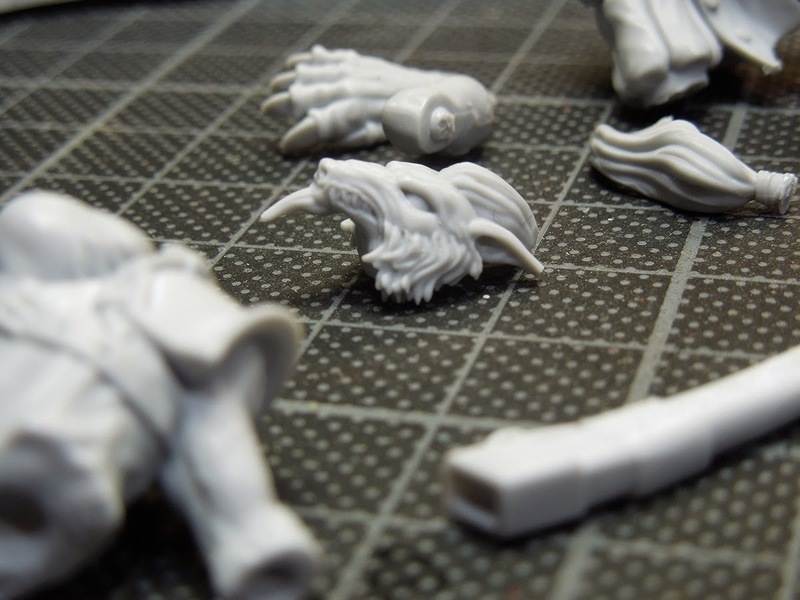 The casts are well done, minor mould line work has to be done. Bringing those pieces together is very cool work. Really every part has a perfect prepared glueing spot, really cool! A big plus on this one, if you are a gamer and want to start right away this will be fast. Well, it will also work for a painter. As said, the model looks really cool when put together. It reminds us on some of the old Confrontation Wulfen. A cool dynamic pose and really worth the name Armsmaster. A quick gaming base was build for that guy, out of cork. 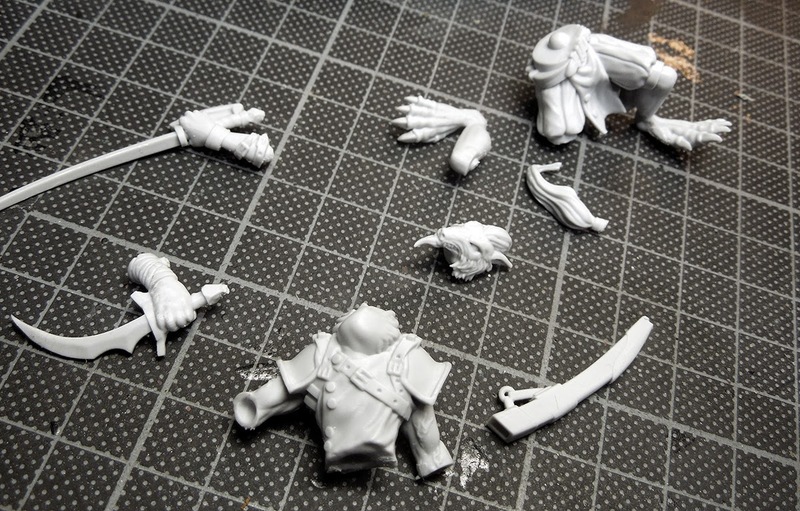 The models are said to be in 32 mm. Well, this Wulfkin here is a little bigger as he is supposed to be a big model in the game. We made a little comparision for you with one Demonette by GW so you can check back with the height of the model. A big guy in 32 mm he is. This looks like a promising Skirmish game with cool models. The Barbarians remind us a little bit of old glorified Ilyad Games Barbarians and the Wulfkin - as being said already - bring back memories of old Confrontation sculpts. The quality of the one cast we had for review is good. 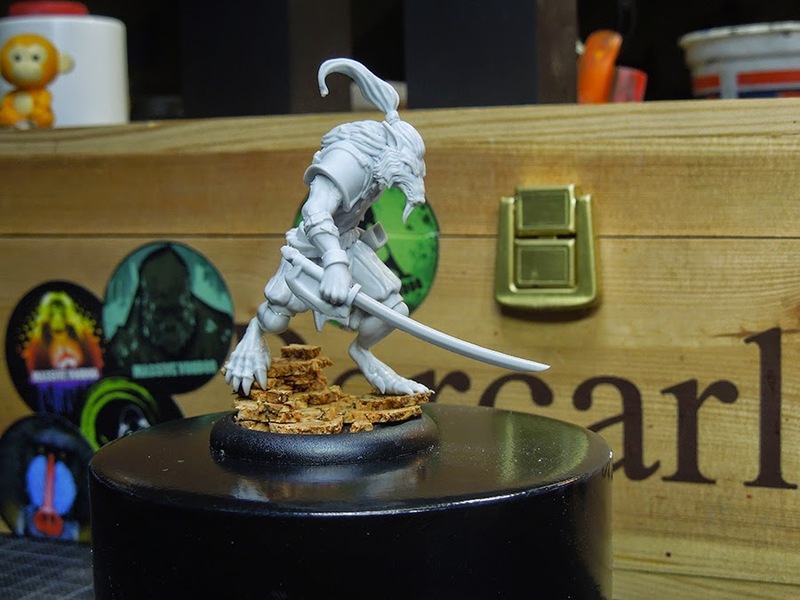 It is not super-ultra-high-end-quality a pure miniature painter might look for as Norsgard Miniatures aim is definatly on delivering cool models for gamers. Easy to work on, easy to assemble and still with great poses and detail. 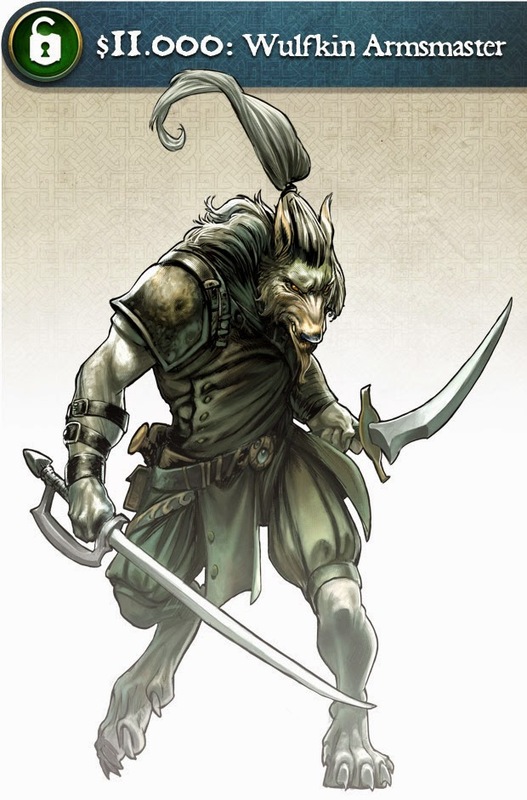 The Wulfkin Armsmaster is looking like a guy who can handle his arms and is ready to rip apart his enemies in a skirmish. No doubt, a lot of fun is available in this game.